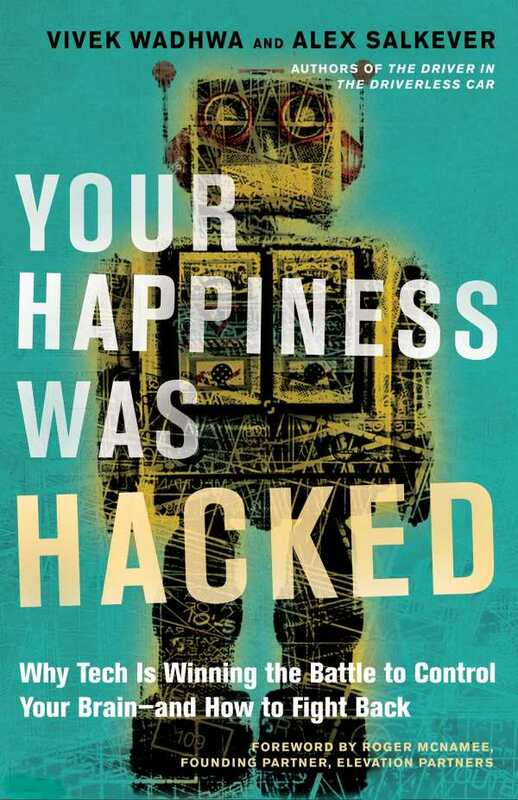 Your Happiness Was Hacked is an incisive, timely book that uncovers the dark side of technology and suggests how to use it mindfully. Academician Vivek Wadhwa and technology writer/consultant Alex Salkever are unafraid to share their own vulnerabilities when it comes to the use of personal technology. Potentially life-altering events involving their obsessive reliance on technology contributed to their uneasy realization that technology can cause unhappiness and even be harmful. Through exploration, examples, and statistics, the authors offer a perceptive, unvarnished assessment of the negative effects of technology on individuals, family life, and the workplace. They point out, for instance, that “we spend less time in the most important form of communication: one-to-one or very-small-group discussions face to face.” They also analyze how technology contributes to unhealthy habits, sleeplessness, and loneliness. In addition to making specific easy-to-implement recommendations, Wadhwa and Salkever discuss emerging applications designed to help humans gain control of their technology usage. The authors also lay out their vision for a future in which tech companies, employers, governments, and users all work toward a common goal of more humane technology. The book’s epilogue is very current; it acknowledges the recent vulnerabilities exposed by Facebook and other technology providers, and serves as a call to action from the authors, who have gradually made changes to their own lives and who encourage others to “use these products, these miracles of silicon and software, only on our own terms.” For anyone who feels like the captive of their smartphone, Your Happiness Was Hacked is required reading.